The tricky thing is that there are still tens of thousands of Christians in Sudan. Some of them are refugees from the South who are hoping to return to their homeland but have no prospects for livelihood when they do. Some of these Southerners have lived in the north their whole lives — they have no familiarity with the South at all. Some of the Christians are not Southerners at all. They are northern Sudanese whose situation is even more precarious, since they are considered apostates to Islam if they have converted to Christianity. And many of all of these Christians are Episcopalians, members of the Episcopal Church of Sudan. 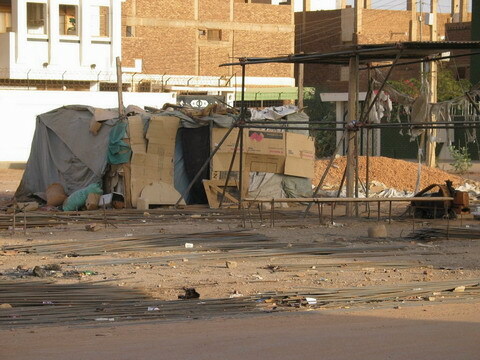 After the Roman Catholic Church, the Episcopal Church is Sudan’s largest. As part of its message to Christians that they are not welcome in Sudan, on Monday, June 18, the local Khartoum government’s Ministry of Planning and Housing sent a couple of trucks, a bulldozer, and a cars full of police to the Parish Church of St. John in Haj Yousif, a Southern Sudanese refugee settlement in Khartoum and reduced the church to rubble. The cars appeared without warning and surrounded the church. Some of the women church members who were present asked to remove the church’s property before the church was destroyed, but they were only given enough time to retrieve a few chairs. The authorities arrested three young people who were taking pictures of the demolition, and they were held for some hours before being released. According to the Rt. Rev. Ezekiel Kondo, the Bishop of Khartoum, Christians had been meeting as the Church of St. John in Haj Yousif since they were first “settled” in the barren desert area by the Khartoum regime in 1987/1988. The Southerners were given nothing by the Khartoum regime to help them survive, let alone have a church building. South Sudanese who fled north to Khartoum during the war received nothing but misery from the National Islamic Front regime (now known as the National Congress Party). Kondo says that eventually, after some years in which the people were living in cardboard shacks, the government surveyed the area and people were allotted plots for building more permanent living structures. Several times, the people requested land upon which to build a place to worship, but the government did not allot the church a piece of land. Eventually the Christians saved enough money and built the Church of St. John on the unused, desert land anyway. The Rt. Rev. 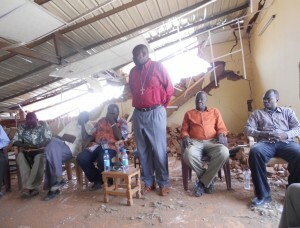 Ezekiel Kondo, Bishop of Khartoum, comforts his pastors in the church building wrecked by the Islamist government. 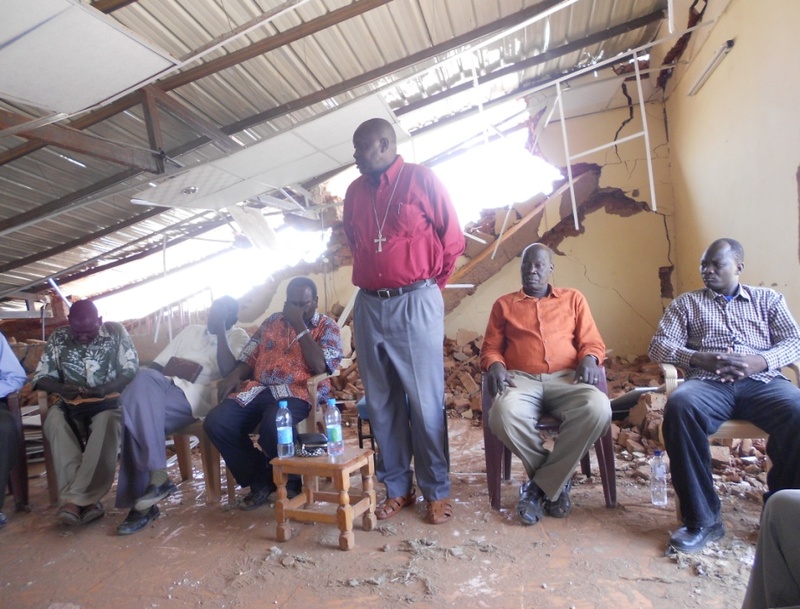 The feisty bishop reported that he had ordered the destructed church site to be left as it alone for five days while an inventory of the destroyed items is compiled. Kondo notified both the local and international media of the incident. He also informed both the state and federal branches of the Ministry of Religious Guidance and Endowments. 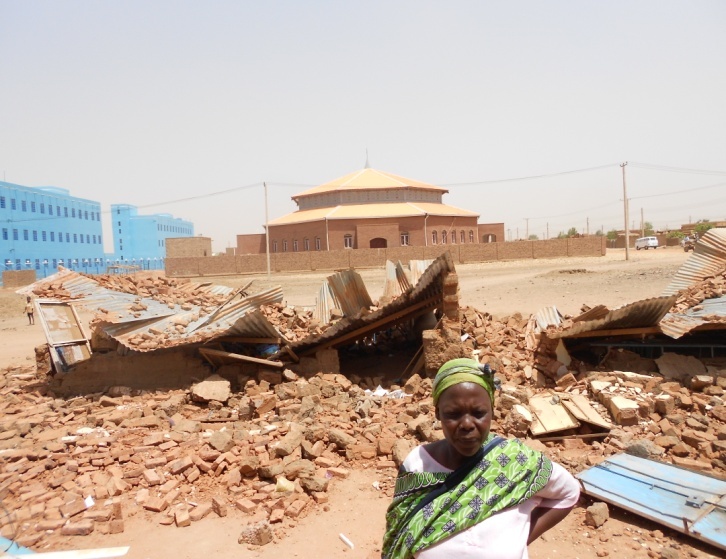 This is not the first time that the Government of Sudan has demolished or confiscated church property, and it will surely not be the last. But the churches are blessed to have strong, courageous leaders like Ezekiel Kondo.